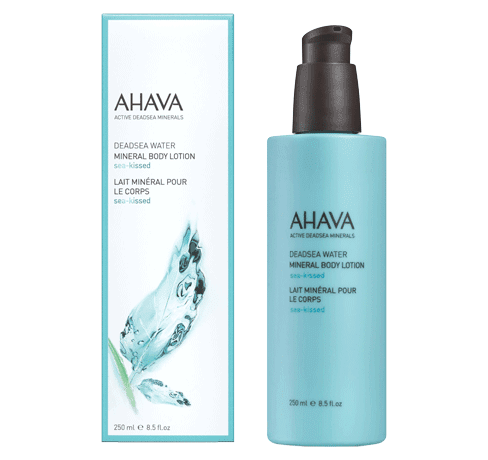 AHAVA Dead Sea Laboratories, the World's Dead Sea Beauty Authority, breezes in with three sea-swept body sensations—the Sea-Kissed Dry Oil Body Mist, Mineral Body Lotion and Mineral Hand Cream – as the latest additions to global bestsellers, Mandarin & Cedarwood and Cactus & Pink Pepper body care collections. The new Sea-Kissed Collection presents a blissful aura of marine notes, florals, fruits and woods, blended with Dead Sea minerals and nourishing oils. Arriving in a turquoise blue packaging to mirror the sea, these luxurious body moisturizers treat skin to new softness, smoothness and sea-kissed radiance, while awakening the senses to the carefree serenity of the ocean. 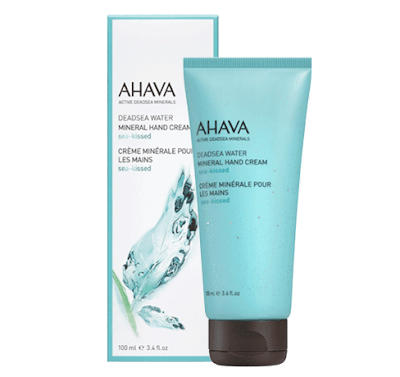 Inspired by the Dead Sea's natural and uplifting resource, AHAVA's exclusive Sea-Kissed Collection captures the relaxing sensation of dipping into the sea. Sea-Kissed is an emotional trigger, prompting the scent of cool water and sea air, the accords of beach memories and sun-kissed skin. 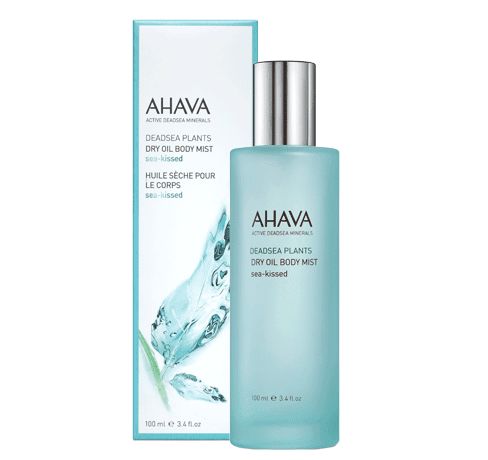 "The new Sea-Kissed Collection introduces another pop of color to our existing body care portfolio," said Rahel Danon, Chief Marketing Officer at AHAVA Dead Sea Laboratories. "Beach and marine lovers will gravitate to this collection as it creates a total unique body beauty experience as if you were walking along the sea and sand with its refreshing and relaxing notes." The new Ahava Sea-Kissed Collection is now available at Manor and Coop City.